While many of you non-American countries will scoff at the idea of it being difficult to procure alcohol underage, Americans will know how difficult it is to get away with this sort of thing. Many American stores and restaurants have a "if they look under 35, card them" policy. Still others have a "always card, no matter how old they look" rule. Cigarettes are the same thing. Although I'd say it's arguably easier to get them here in America even if you're not 18, it's still quite difficult in most of the country. For both alcohol and cigarettes, Japan is quite the opposite. Let's find out why this is and learn more about all the little kids running around drunk in the land of the rising sun. Ironically in 1900, Japan was the very first country to create a law that banned underage smoking. It's kind of like those "ridiculous laws" articles that you see from time to time. For example, in Louisiana "Fake" wrestling matches are prohibited. Or, how in Washington the harassing of Bigfoot, Sasquatch or other undiscovered subspecies is a felony punishable by a fine and/or imprisonment. The underage drinking and smoking laws in Japan are just like that. Laws that nobody upholds, and laws that nobody cares about. But, let's just pretend that people care for a moment. The minimum drinking and smoking age is 20 years old, the age when people are considered to be "adults" in Japan. There are laws against consuming, selling, or giving cigarettes or alcohol to minors, but nobody listens. In 1996, the average number of cases brought to prosecutors for underage smoking, for example, was five. Of course, none of the accused were punished in any way. Underage drinking just isn't considered a big deal, though God forbid you give someone else a ride on your bicycle (that's a 20,000 yen fine I've seen given to several unfortunate people). The Japanese underage drinking law came into affect in 1922. It has been ignored ever since. Most nations decreased their alcohol consumption since WWII. Japan has managed to increase it. Alcohol on a whole is pretty big in Japan. With children it's increasing as well. Here is a summary of results on a survey translated by the authors of "Young People's Drinking Behavior in Japan" (see sources below). Despite the law prohibiting underage drinking, around 50% of junior high school and 70% of senior high school students reported some experience with alcohol. As in other countries, instances of alcohol consumption, regular drinking, and alcohol-related problems show a constant and dramatic increase with age. Differences are not too wide for drinking patterns of boys and girls. However, boys still exhibit more drinking problems such as fighting, vomiting, hangover, and blackouts. The major source of beverage alcohol for junior and senior high school students was their own homes, followed by convenience stores. Percentage of students obtaining alcohol from vending machines decreased in both junior and senior high school students, as fewer vending machines selling alcohol became available. The choice of alcohol beverage appeared to be gender-linked. Male students preferred beer, while female respondents preferred sweet or fruit-flavored cocktails. Drinking behavior did not change dramatically between 1996 and 2000. It was noted however, that, while overall alcohol consumption appeared to decrease, drinking problems in female students increased during this period. This wasn't just one year of surveys, though. They ran follow-ups over the course of five years. By the fifth year, 70% of students were still filling out the survey. Here's the summaries they came up with regarding the five-year span. Drinking behavior changes dramatically during junior and senior high school years. Over the 5-year period, the percentage of young people consuming alcohol doubled. Drinking in the family tended to be replaced by drinking with friends. The prevalence of alcohol-related problems increased sharply since students were first surveyed in 1997. For example, the percentage of problem drinkers, identified according to the Japanese version of the Quantity-Frequency Scale (Suzuki et al., 1994), increased more than 100 times over the 5-year period, as students progressed from junior to senior high school. Risk factors found to be associated with drinking problems were: earlier age of the first drink, susceptibility to peer pressure, and lack of communication with parents. There are a few big-picture points we can glean from this. First, there are junior high school students drinking, which boggles my mind. Second, a lot of girls are drinking. Third, a lot of high school students are drinking, which is less surprising, but there's still quite a bit of this going on. So Why Are The Kids Drinking? So we have to ask ourselves, why are all these underage kids drinking? I think there are several reasons, though please note that a lot of this is just my opinion and experience talking. People Will Sell You Alcohol: Shopkeepers will sell to underage kids most of the time. The closest thing to carding I've ever seen was a screen that shows up in convenience stores that asks "are you 20 or older?" then has a "yes" button but no "no" button. Vending Machines Vend Alcohol: Although alcohol vending machines are decreasing in numbers, there are still quite a few out there. You can easily buy alcohol from vending machines, and of course they don't card you. If getting alcohol is this easy, then why wouldn't kids buy from them? As one great beer mogul once said, "if you build it, they will come." The Taste Of Japanese Alcohol: Japanese alcohol is easy to drink. Even for kids. There is chu-hai, which mostly tastes like carbonated lemon soda, and if I was a kid I would have loved it (it was developed to be more "womanly" after all). Then there's the regular beer as well. Asahi Super Dry, Japan's most popular beer, which is also a lot like drinking a lightly beer flavored soda. After that there's sake, which unlike sake outside of Japan, actually tastes really good (and is super smooth). 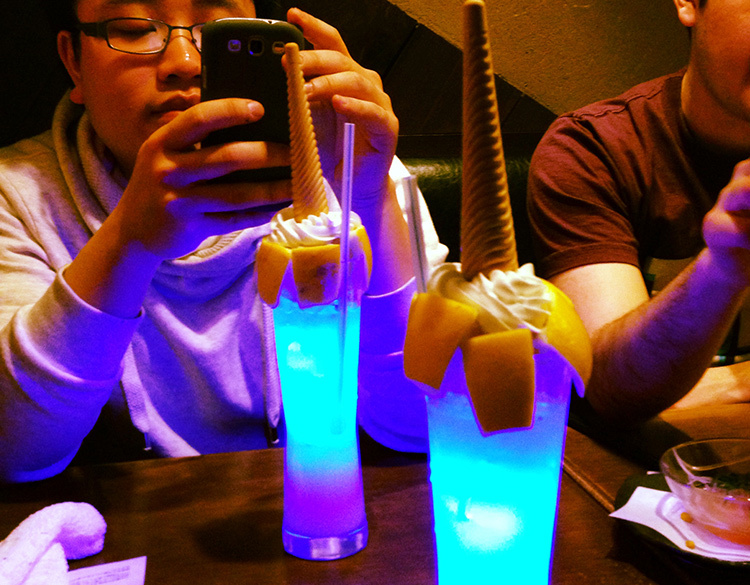 Pretty much every Japanese alcoholic beverage is really easy to drink, and this makes it easier for the kids too. I didn't like the taste of alcohol until my early to mid twenties. If I had been given basically any Japanese alcohol, I may have had a different opinion on the matter. I can also confirm a lot of the summaries put forth above as well. Despite going to one of the best high schools in the Nagoya area, at least one third of my friends would drink on a somewhat regular basis. I didn't see it much (unless we were at karaoke), but they were open about their habits. I had one friend who would have a beer every night "to help him to fall asleep." I suspect he was just getting ready for salaryman life. Unlike alcohol, I've seen firsthand the decrease in consumption across the board. Smoking in Japan is becoming slightly more taboo every year that goes by, and now they're being corralled into smoking pens. Restaurants even have non-smoking sections or no-smoking rules, which feels unheard of considering how things were ten years ago. Still, underage smoking is still prevalent, as Japan still is a very smoking culture. In 1999, 19% of 15-20 year old men and 4.3% of 15-20 year old women identified themselves as smokers. 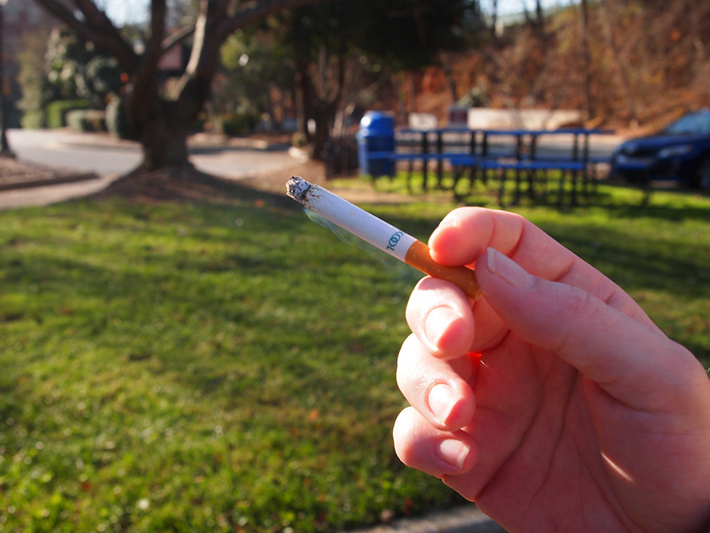 42% of male smokers and 35% of female smokers reported going habitual before 20, the legal age limit. While a lot of time has passed between then and now, I imagine the numbers are fairly similar but slightly better (just guessing based on my own experience). To back up these numbers, I have a similar experience (though a very small data-set) from high school times in Japan. Amongst my core group of six friends at the time, two of them smoked, though never at school. It wouldn't be a lot (maybe one or two packs a week), but definitely enough to call them smokers. Of course, both of them are heavy smokers today, well into their twenties. Just like alcohol, smoking is really easy in Japan. Tobacco Vending machines are much more prevalent compared to alcohol vending machines. If you don't have a convenient vending machine, shopkeepers and convenience stores will sell pretty much anyone cigarettes. If you want them you can have them, and with the number of people who smoke still, there just isn't that pressure not to smoke, so kids get started early. That, I'm not so sure about. It's easy to do in Japan, but I can't really say what's right or wrong (that's up to you on Twitter). Kids aren't driving anywhere, because while it's easy to get a beer when you're 15 it's impossible to get a driver's license. So, nobody's going to hurt anyone that way. Also, Japan is a lot safer than most places too. 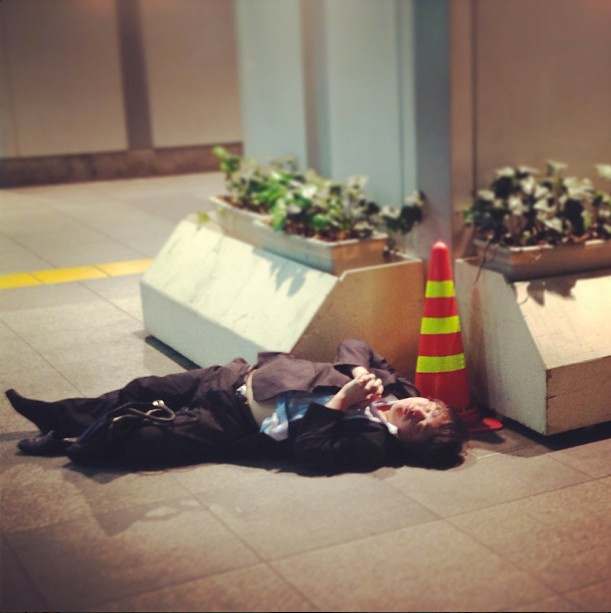 You can get drunk and fall asleep in front of a train station like this guy, and you don't have to worry about your bag getting stolen. Then, there is the whole "getting prepared for business life thing." While I feel like it's a dumb excuse (those salarymen drink way too much), there is some truth in this statement. Friends would tell me this in regards to their drinking, because if you're not prepared both mentally and physically for the brutal nomikais that await you, you're going to have a hard time. But drinking can also help people to relax. With the intensity that is the Japanese school system, it's (almost) hard to blame anyone who wants a way to calm down and relax for once. Alcohol is a way that people do that, and while it's a bad excuse, I almost want to compare teenage drinking in Japan to teenage (pot) smoking in America. Marijuana in Japan is very hard to get (and the punishment is steep). Both aren't right, technically, though many would argue otherwise, I think. Alcohol, compared to marijuana, is very easy to get, and there's no punishment for breaking the alcohol law, just like marijuana and kids in America. When a kids wants to let go and escape testing hell for a few hours, this is how they're going to do it (this and karaoke). I'm not going to come out and say what's right and wrong, because I really don't know, but these are my observations. While I never partook in these activities myself in Japanese high school, I had plenty of opportunities. I guess my upbringing in America taught me that drugs are bad and I should always refuse, or something like that. If I was given a 5yen coin for the number of times I was offered alcohol at home / a matsuri / a restaurant… well, I could buy a lot of beer, though not as much as I would have got if I had accepted every alcohol-related offer. It's easy to get alcohol and cigarettes in Japan and sometimes hareder to say no. Japan is a very group oriented culture, and alcohol (more than cigarettes) is one way to become closer with said groups. Alcohol opens you up and allows you to express your feelings, something that doesn't come up very often in Japanese society (at least when alcohol isn't involved). With the ease of getting alcohol and tobacco in Japan, as well as the lack of harder drugs, it's no wonder there are so many cases of underage drinking and smoking. Update: Turns out, a lot of tobacco machines require an ID to show you're of age. Times are-a-changing it seems. 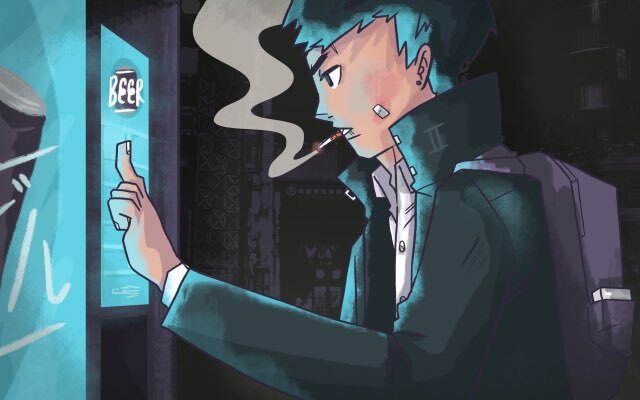 That being said, buying cigarettes from a person and not a vending machine seems quite easy, much like alcohol. So, while it's more difficult than I thought to get cigarettes when you're below 20 years old, it's still fairly easy to get cigarettes. Apologies for the incorrect information, though the message is still pretty much the same, I think. Also, thank you for those of you who let me know in the comments, I need to get into smoking so I know these things! Young People's Drinking Behavior in Japan, by Susumu Higuchi, Kenji Suzuki, Sachio Matsushita, and Yoneatsu Osaki.